Product prices and availability are accurate as of 2019-04-21 14:49:22 UTC and are subject to change. Any price and availability information displayed on http://www.amazon.com/ at the time of purchase will apply to the purchase of this product. 1 New York Times bestselling author Dr. Mark Hyman sorts through the conflicting research on food to give us the skinny on what to eat. Did you know that oatmeal actually isn't a healthy way to start the day? That milk doesn't build bones, and eggs aren't the devil? 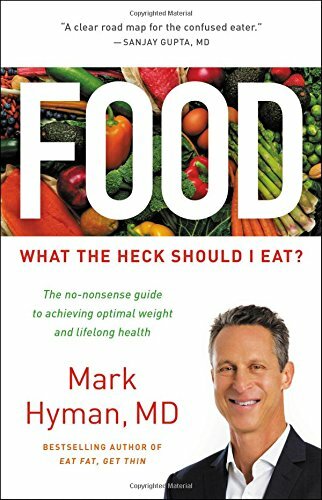 In Food: What the Heck Should I Eat?, Dr. Hyman looks at every food group and explains what we've gotten wrong, revealing which foods nurture our health and which pose a threat. He also explains food's crucial role in functional medicine and how food systems and policies affect our environmental and personal health.